Stainless steel is a material that is completely free from the toxic heavy metal lead and does not contain any substances that are harmful to us or the environment. This material has a life span of up to 30 years and can be totally recycled. The interior of a traditional mixer is made of brass – a material that is often rough and uneven. This makes it easier for residue and bacteria to accumulate in the water. 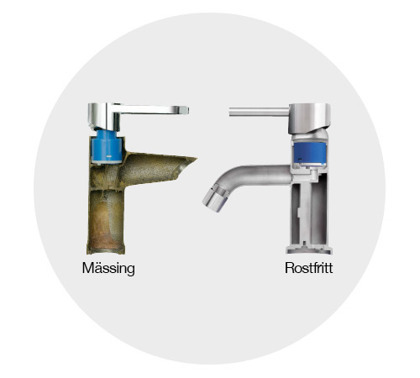 Brass faucets also emit lead, which may contaminate drinking water. A stainless steel mixer has a stainless steel interior that is both hard and smooth, which makes it more hygienic. For us, stainless steel is an obvious choice for providing clean, fresh water. 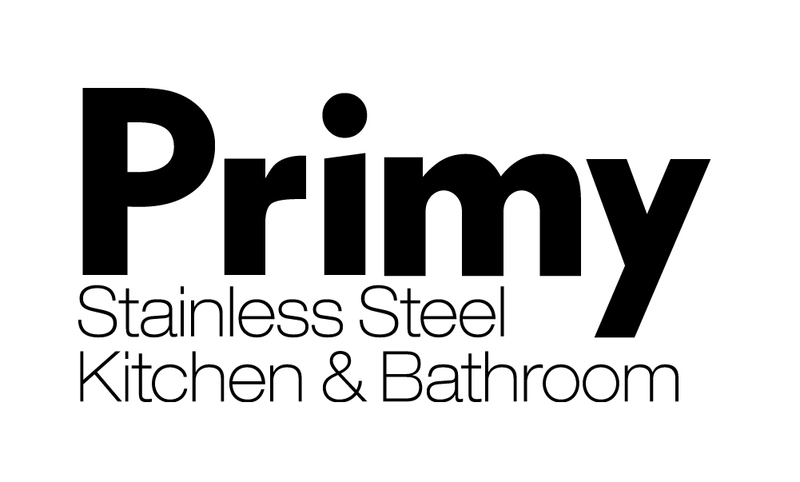 Primy’s stainless steel products are now available in two red-hot trend colours. Amber and Sand are the new colours that will make all your interior design dreams possible. 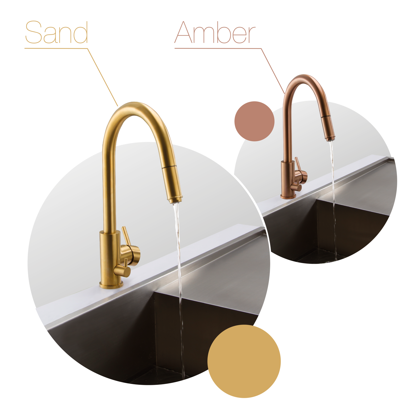 The new hot metal colours provide a sleek and exclusive industrial look that contrasts well against light and stylish or dark and sober surfaces. It’s the details that make it. We love striking designs, but we also love function and quality. Stainless is stainless, even in different colours. Our stainless steel products are coloured using a sophisticated PVD technology. This provides a hard and durable surface that maintains colour and freshness, without unwanted patina. You get a mixer that keeps its shine and is easy to clean and maintain. Clean your mixer with a soft cloth and lukewarm water. If necessary, use a mild detergent solution. Rinse with clean water and polish with a dry cloth. Lime deposits can be removed with vinegar. Rinse with clean water. Do not use steel wool or other scratchy/abrasive materials. Never use corrosive or abrasive detergents. All our production processes show the highest respect for the environment. Stainless steel is a material that is completely free from the toxic heavy metal lead and can be totally recycled. Our manufacturing operations are certified according to ISO 14000 and we strive to make our transport as environmentally friendly as possible.